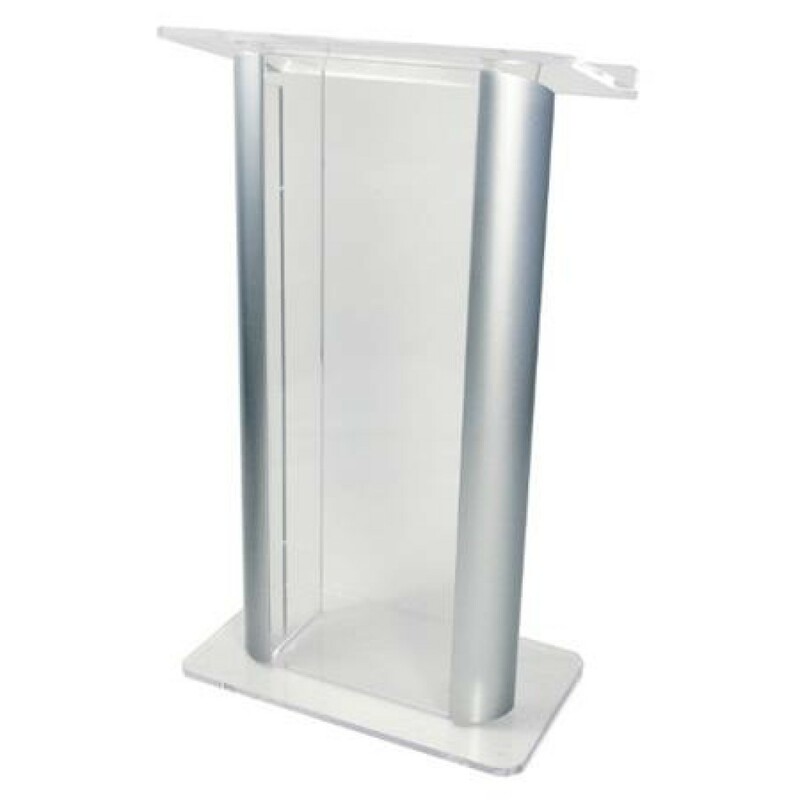 The SN3080 from AmpliVox Sound Systems is a contemporary style aluminum and acrylic pulpit lectern, ideal for speeches, lectures, or other forms of public address. The lectern is made from 0.75" thick acrylic with aluminum sides for terrific stability and a sleek look. Reading Table (top shelf) is 27" W.